The Libraries aim to provide a safe, welcome place conducive to studying for our users. Beginning in Fall 2015 users must be a current UC student, faculty, or staff member and have a valid UC ID to enter on-campus Libraries’ buildings after regular operational hours. 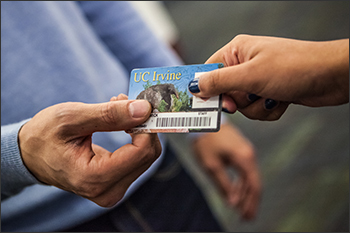 On request, users must show valid UC-issued ID card to library staff, campus police, or other campus security officers to verify eligibility. Users without valid UC-issued ID card must leave the building until regular library hours resume.